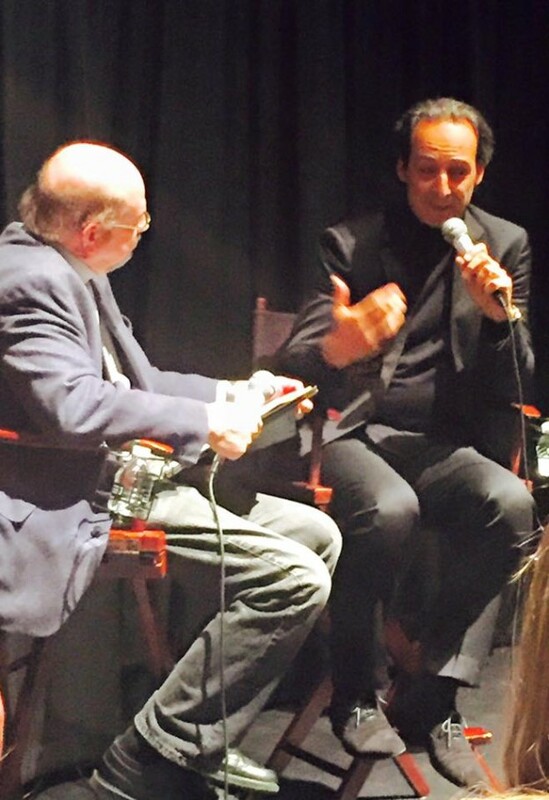 I’ve moderated a number of post-screening talks with composers during awards season, most recently Monday night at The Landmark with French composer Alexandre Desplat about his exquisite music for The Danish Girl. Desplat was charming, funny and articulate as always — especially in discussing how his life didn’t change at all after winning the Oscar last year for Grand Budapest Hotel. Last month I interviewed Thomas Newman about his music for Bridge of Spies, also for SCL, on the Walt Disney lot. Both composers stand a strong chance of an Oscar nomination later this week. This entry was posted in and tagged Alexandre Desplat, Bridge of Spies, SCL, The Danish Girl, Thomas Newman on January 12, 2016 by Jon Burlingame.